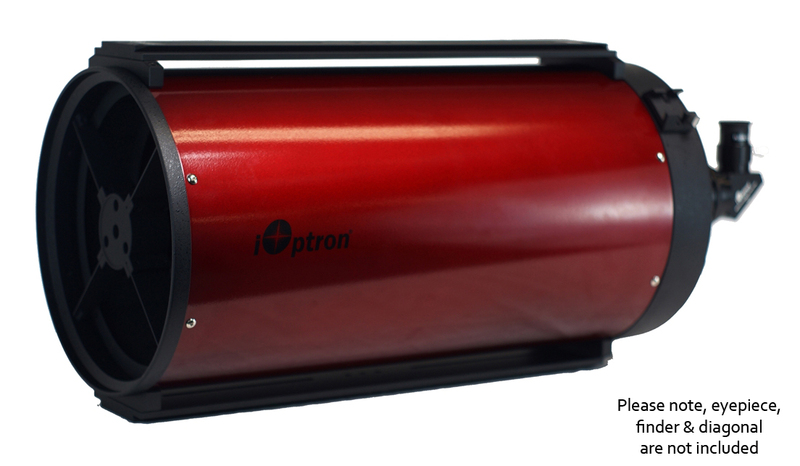 The iOptron® Photron™ Ritchey-Cretien design telescopes, feature low thermal expansion quartz primary and secondary mirrors with ninety-nine percent reflective dietetic coatings. The RC optical design delivers coma, spherical and chromatic aberration free results, perfect for color or monochrome imaging. A fixed position primary mirror eliminates image shift that occurs from focusing with other telescope designs. 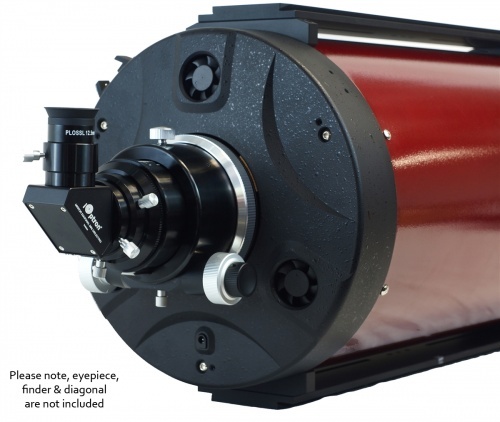 The iOptron RC10 comes with a 2" dual-speed linear-bearing Crayford focuser. Three focuser extension rings are provided for a “flex-free” solid extension as a means to take up any unneeded back focus. 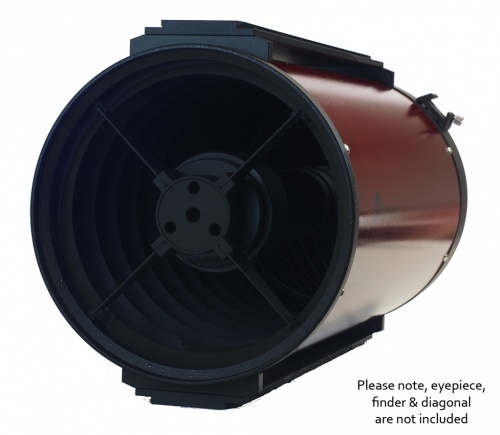 Its steel tube is equipped with 10 knife edge baffles to diminish contrast reducing stray light, improving the instrument in both visual and imaging uses. A RC10 model comes with top and bottom dovetail plates adding rigidity to the tube while providing attachment points for the mount and other accessories to be used.